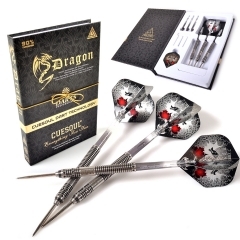 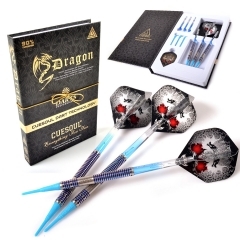 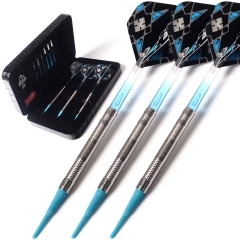 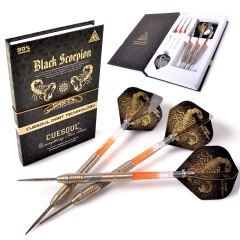 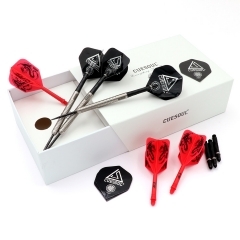 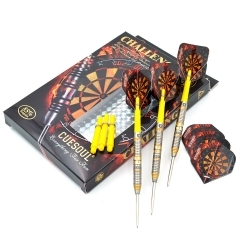 This CHALLENGE series tungsten darts features precision balanced 85% tungsten barrels with distinctive designs to increase accuracy and performance,at affordable price. 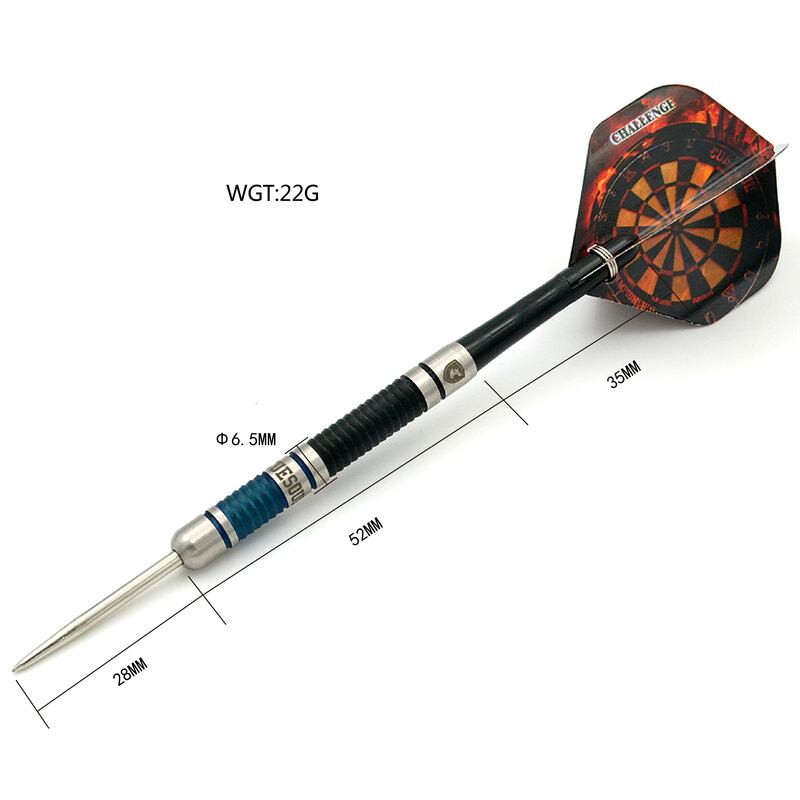 3* 85% slim tungsten dart barrel,well balance combined with Shark Fin and Ring Grip. 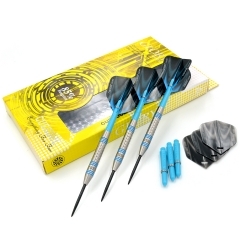 Black/Blue Titanium coating extends barrel life outside of normal dart on dart contact wear. 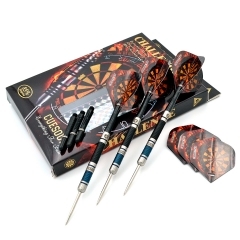 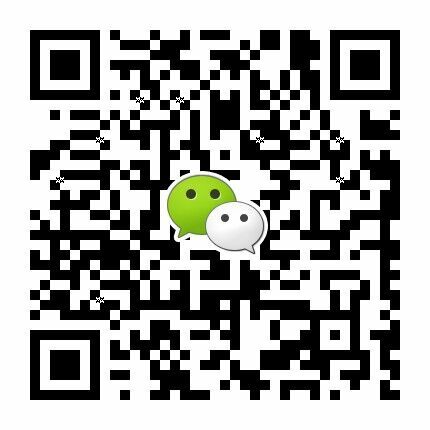 6* 2BA engraved PE shafts,durable use,length 35mm(screw-5mm not inlcuded). 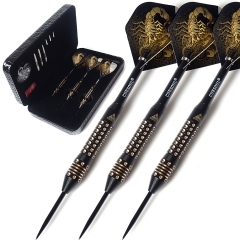 6* durable use flights,includes 6 rings to lock flight to shaft..